After more than a decade of delays, smart ID cards, which will replace South Africa’s green, barcoded ID books, should be in people’s hands from next year, according to home affairs minister Naledi Pandor. The implementation date will be disclosed in the new year and the proposed transition period of four years is dependent on the target of an early 2013 start to the project being met. The minister, who recently took over the portfolio from Nkosazana Dlamini-Zuma, says the department is on track with its “modernisation processes”, which include the upgrading of IT infrastructure; live capture systems for IDs, passports, permits and visas; and the new national population register system that will carry records of all births and all citizens. These are all necessary precursors for the smart ID card roll-out. The department ran a successful pilot project earlier this year. First-time applicants were originally meant to get smart ID cards from this month, but that deadline will not be met, says Pandor. The cards will be manufactured, personalised and printed at the Government Printing Works and will be made of polycarbonate materials. The cards will include fingerprint biometric information and will work with “contactless machine-readable scanners”, suggesting, perhaps, that this means near-field communication (NFC) technology, although the minister was unable to confirm this. 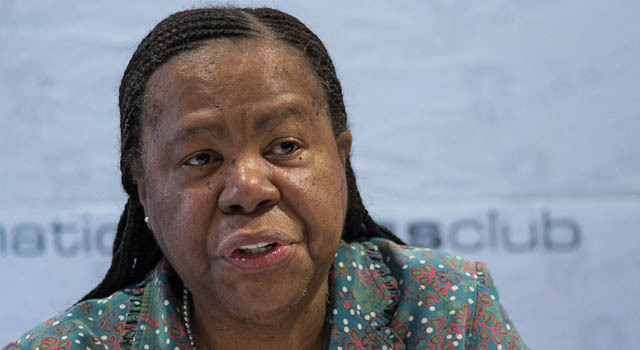 The cost of the cards is yet to be determined, but Pandor says the department wants to keep them in the region of the current cost of a barcoded ID book. She adds that, as the technology develops, it’s hoped that the cost will come down. It’s expected that the first issue of cards, whether to new applicants or those moving over from an existing ID book, will be free. Pandor says discussions are ongoing as to what types of security features the new smart ID cards will include. A microchip — the specifications for which cannot be disclosed for security reasons — will house the necessary biometric data and the information on the cards will be laser-engraved to prevent tampering. She says a range of physical and data-security features are being considered and that there is also ongoing discussion about whether to include provision for a pin code as a secondary means of verification to complement the biometric features of the cards. She says the department of home affairs intends to invalidate all duplicate IDs and remove them from national population register.